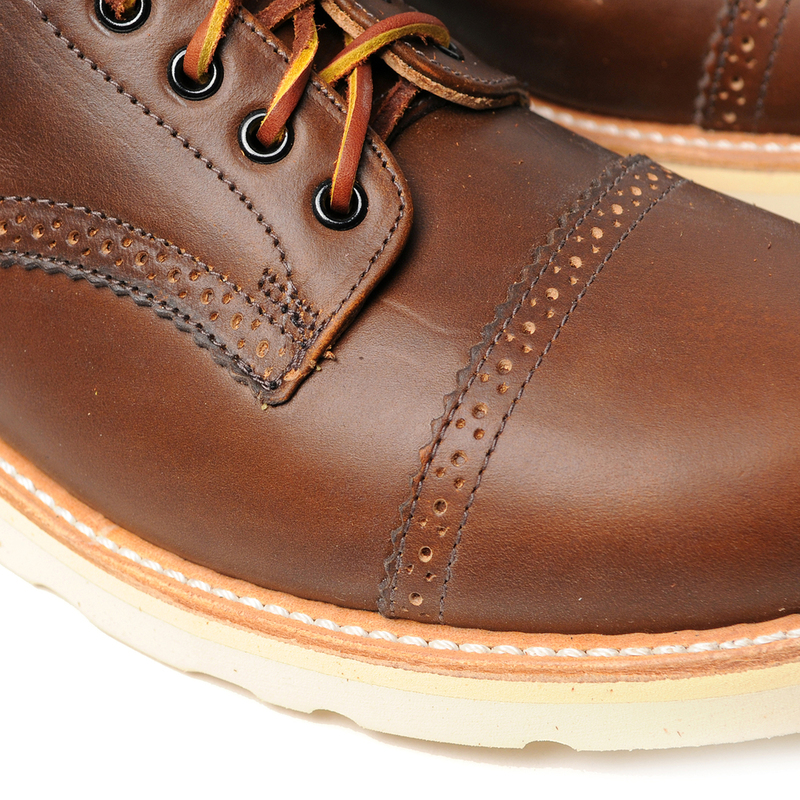 Each shoe is Goodyear-welted in Canada with classic American machinery. The upper is crafted from rich and malleable pull-up leathers, resulting in wonderful contrasts and patinas over time. The updated shape of the Johnson originates from the mil-spec last used for this model that is specifically designed for army infantry to guarantee long-wearing comfort. Natural leather insoles ensure conformity to the shape of the wearer’s foot for long-term comfort in addition to a Vibram Christy sole for shock absorption and cushion. 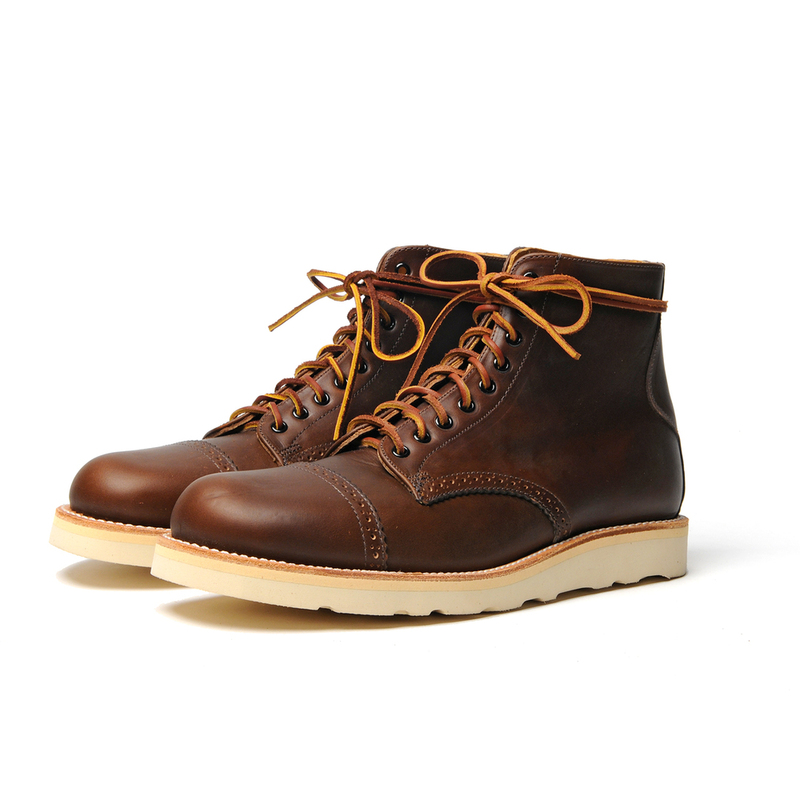 The Johnson also boasts a natural leather welt and leather laces to complete the outward statement of high-quality materials and construction.